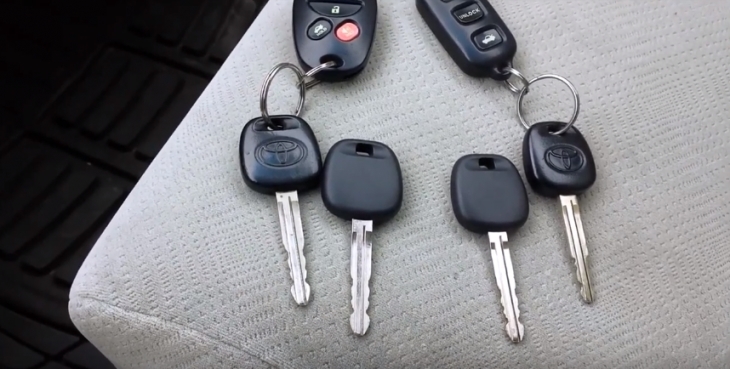 If you didn’t make a copy of your master key, then you have two options, either go to the dealer and get a new one which involves replacing the old system. Or, take the long but less expensive route and program a master yourself. You will need a rudimentary knowledge of software editing and computer systems. 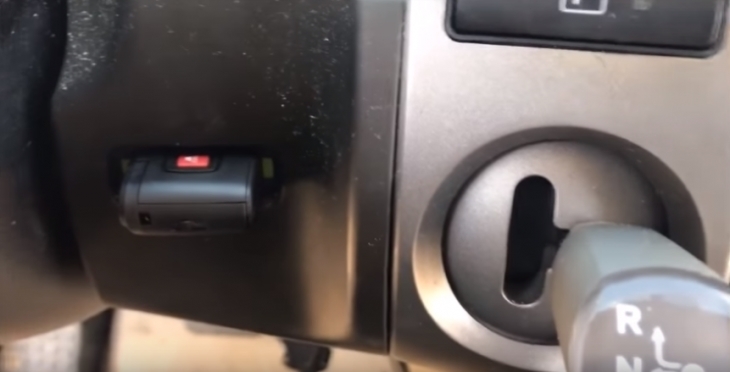 The anti-theft key is an electronic device that is read by a computer, and it the code embedded in the device does not match that in the software, the vehicle will not start. The main issue with these systems is that there is an RFID chipset in the key that can be programmed, but this is usually done by the dealer and costs a hefty amount. The best preventative option is always to make a second (back-up) master key. However, you are reading this article because you don’t have a master key or a backup and don’t have the cash to buy for a replacement. So, let’s look at what it takes to program the key without a master. The RFID chip in the ignition ring reads the key’s signal when you insert it into the keyhole. The systems amplifier then decrypts and transmits the signal to the ECU. One of the components in the ECU is a 93C56 EEPROM chip (IC900) this chip is a programmable chip that stores the key values. It is this chip that compares the signal to the programmed code and allows the engine to ignite. 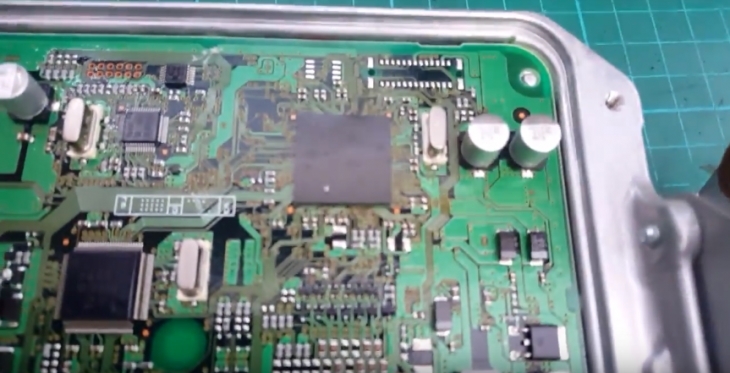 The latest models of separate the ECU transponder from the EEPROM, the reason is based on experience, it is easier for the dealership to replace the transponder than replace an entire ECU. The EEPROM is located under the dashboard, and that is where you will start. PonyProg, a free serial device programmer. First, disconnect the negative lead on the vehicle’s battery. Open the glove compartment and locate the ECU which is held by two 10mm nuts. Use the socket wrench to unscrew the 10mm nuts. Open the ECU and look for the IC900, it is marked, and it is an 8-pin surface mounted 93C56 EEPROM. This means there are 4 pins on two opposing sides that are soldered into the circuit board. Once you have connected the chip to the reader, you connect the reader to the PC. Now select the device as “93C56 MicroWire EEPROM”. Click “Read Device” this will dump the EEPROM’s contents. Look at the right side of the dump; there are three large HEX clusters. Don’t touch the Valet Lockout it is; “FB DF 5A 69”, do not change this. The virginize keys are valued at “10” in the original dump, change them to “00”. This will let the software go into the auto-programming mode. What you will do is essentially overwrite every code you see with 0 and leave only the valet lockout untouched. Now press on the write to EEPROM device key, that’s the second icon from the left on the icon bar, and disconnect everything after getting the successful write popup. This is straightforward; you just replace the ECU back into the vehicle. If you have a later model of F150, then you return the EEPROM module back behind the glove compartment. Reconnect the battery and insert and remove the key immediately into the ignition lock cylinder. The security light now remains illuminated. Only insert the first transponder key into ignition lock for 3-5 seconds, do not turn the key, and wait for the security light to blink. Do the same procedure with the second transponder key. The security light will remain on; this is a good sign, it indicates you are still in programming mode. Now insert the third transponder key and perform the same procedure. This time the security light will turn off and then start to blink frequently. Wait for 30 seconds so that the programming mode cycle ends. The first two keys are the new Master Keys, and the third key is your Valet key. You can test this by inserting the master key and watching the security light blink while inserting the valet key will make the security light stay on for 2 seconds and then extinguish. If the security light does not stop blinking, it means that the key is not synced to the car. This will work on all 1990 to 2000 models; the later models come with a separate Transponder ECU and Engine Control Unit, which means you need to short the connection between the two which is another procedure which is done using two wires and a 30-minute interval added to the above. The bottom line is that I suggest you don’t do this if you don’t know how to use electronic equipment, sometimes the cheaper and long way round ends up being more expensive. Go to the dealer and change the unit.